During an ISS pass, people from at least three cities of Pakistan, Hyderabad, Karachi and Lahore, saw the ISS passing right above their heads and waved at it. 2010 was ending and I had no idea about the amazing things that were going to happen. Since it was the end of year, my old astronomer friend Ramiz Qureshi told me that he wants Pakistani astronomy enthusiasts on Twitter to become a part of the International Space Station (ISS) wave. All was set and during the last week of December we decided to set things in motion. 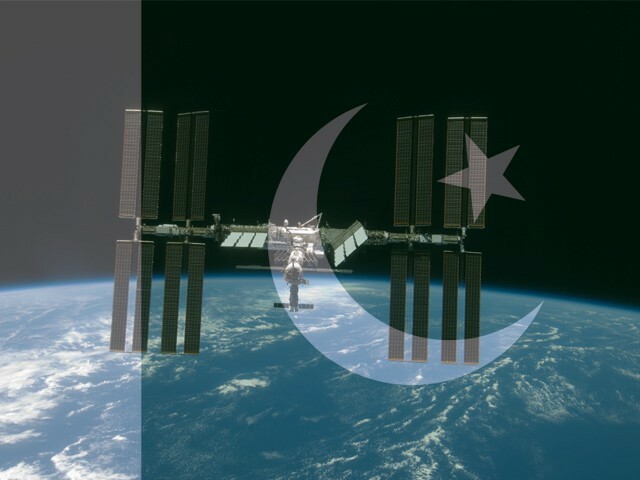 During an ISS pass, people from at least three cities of Pakistan – Hyderabad, Karachi and Lahore – saw the ISS passing right above their heads and waved at it. Once done, people tweeted their sentiments regarding the wave. It was perhaps the first time something like this had happened in Pakistan. Qureshi and I decided to take things to the next level. He mentioned Astronaut Scott Kelly, who was the station commander on the ISS at the time, while I mentioned Astronaut Paolo Nespoli, who was also aboard the ISS. We were already quite content with the whole thing and the way we had managed to arrange the event. The very next day, I received a text from Qureshi asking me to check my Twitter feed immediately because something ‘amazing’ had happened. Unfortunately, the power was out at the time and I was unable to use my computer so I couldn’t check right away. But as usual, curiosity was killing me! So, as soon as the power came back, I logged onto Twitter. It took me a while to realise what had happened. We had become one of the first Pakistanis to receive tweets from space! @ramizq1 Thanks for looking up. It's an incredible sight below too. But that was not all! Mr Nespoli was going to send a picture of Karachi from space! And he did! 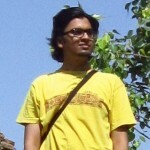 @zeeshan_ahmed Will take a picture of Karachi. Pakistan is very bright and usually not many clouds at night! Although, it is a mystery whether the astronaut had gotten confused, or not, whilst taking a picture, because the comments on the picture itself suggested that the picture tweeted was not Karachi but was, in fact, Athens. Regardless of that, I considered this to be one of the biggest achievements, not just for myself or Qureshi, but for Pakistan as a whole. This was something that all Pakistanis could cherish. We received tweets from space guys! Here’s to the enthusiasm of those who want to know about the cosmos. Congratulations on this marvellous achievement! We never said it was a real achievement, although still it was a pretty cool feeling. However I DO conduct astronomy sessions on behalf of an astronomy society I am part of (and i have just this morning conducted a solar astronomy session). Look us up. We are called the Karachi Astronomers Society – and we conduct astronomy sessions EVERY week. Chris Hadfield responded to my request and took a picture of Karachi from space and posted it on Twitter last year. It’s a great feeling getting the country involved internationally in a mention of humane interaction as opposed to a coverage of violence. Thank you for all the appreciation. For those saying this is not an achievement: we never claimed it was one. But what I can say is this: how many of you even knew about ISS before this post? Or how many of you knew that you could actually see the ISS yourself?I am one of the co-founders of Hyderabad Astronomers Society, Pakistan along withAstronomer Bilal and Amjad Nizamani. We conduced the first-ever astronomy event in Hyderabad, and went on to do collaborations with Mehran University of Engineering and Technology, SUPARCO etc. We were also invited to do a session as part of an IEEE event in Jamshoro. We have also been a part of official World Space Week event in 2012. As Ramiz Qureshi said, ‘What have you done since waking up besides commenting on a status?’ I would only ask the same question. “Regardless of that, I considered this to be one of the biggest achievements, not just for myself or Qureshi, but for Pakistan as a whole”. This post just shares some of the little things in life that could bring a smile to our faces. Why pull down each other at every chance we get? If nothing else, it just talks about space exploration in Pakistan. How many of you go out on clear nights and find constellations, I have done that. Instead of encouraging our people to go ahead in life, we just seize every opportunity to bring each other down. Very sad, indeed.